China will hand over chairmanship in the Conference on Interaction and Confidence-Building Measures in Asia (CICA) to Tajikistan on the sidelines of the UN General Assembly in New York, Kazakh Foreign Minister Kairat Abdrakhmanov said, the Tajik Avesta news agency reported citing the Kazinform news agency. CICA is a multi-national forum for enhancing cooperation towards promoting peace, security and stability in Asia. 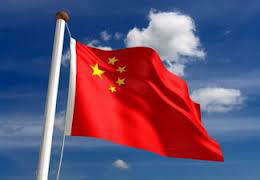 CICA includes 27 member states, which cover about 90 percent of the territory and population of Asia. Seven countries and four international organizations, including the UN, have observer status. All decisions within the CICA are made through consensus. The CICA Secretariat was established June 17, 2006 and is located in Astana city. The new office was also officially opened by Kazakh Foreign Minister Erlan Idrissov on October 29, 2016 in Astana. The opening of the 73rd session of the UN General Assembly is scheduled for September 18, 2018.